Computer technology made easy - and then some. Safe mode is a special way of booting Windows when there is a system-critical problem or a virus that interferes with its normal operation. The purpose of Safe Mode is to allow you to troubleshoot Windows and try to determine what causes it to not function properly. In safe mode, Windows will have reduced functionality, thereby allowing you to easily troubleshoot your system and attempt removal of viruses (many of them won't start when Windows is running in safe mode). Unfortunately, many computer viruses today such as Bagle, Virut, and Sality disable Windows' safe mode by deleting the SafeBoot registry key and its subkeys. Some even go far by continuously monitoring the registry and will delete the registry keys again as soon as you restore them. - Run a program that will restore the SafeBoot registry with permission entries that will deny Administrators and System accounts to delete the key. This way, the virus can’t delete the keys because it lacks the permission to do so. Extract and double-click "UndeletableSafebootKey.exe" to run the program. - Restore the subkeys by merging the appropriate .reg file with the Windows registry. Extract and double-click the .reg file appropriate for your system and click "yes" to merge it into the registry. A complete guide to using Linux, taking you from beginner level to an intermediate user with ease. It will show you how to install Linux, navigate around the desktop, use common software, add more programs and fix any problems you may encounter. It's based around a slightly older version of Ubuntu Linux so there may be some minor differences with newer releases, but you can always download the latest version from www.ubuntu.com or get a CD sent by post at shipit.ubuntu.com. This hands-on guide will teach you everything right from logging in, basic file management, backup techniques up to the basics of networking. It is what you need if you are having difficulty figuring out how to get to that resume file you saved just now. The guide explains the Linux file structure and introduces you to the basic commands and text editors as well. A 160-page book geared towards people who are competent with using Windows, who have never attempted to use Linux but are interested in giving it a try. A comprehensive 170-page ebook that will get you started with Ubuntu. Ubuntu is one of the most popular distributions, new users look up to when trying out Linux. This guide takes you from installing and configuring Ubuntu to adding and managing software and securing your system. This guide is for anyone who is interested to learn about the tools (also known as commands) available to them when using their GNU/Linux based operating system. Why would you want to learn how to use the command-line (and available tools)? The Command Line-Interface (CLI), while difficult to learn, is the quickest and most efficient way to use a computer for many different tasks. The CLI is the normal method of use for most UNIX system administrators, programmers and some power users. While a GUI is better suited to some tasks, many operations are best suited to the CLI. Download this guide and learn how to use the command line in Linux to your advantage. This one is not for the faint-of-heart! There is enough Linux juice in this book to keep even the intermediate to advanced users interested. The book begins humbly by presenting the basic commands and tools, however before you know it, you are learning everything from regular expressions to shell scripting to C programming to networking. A must-have for every administrator that wants to learn about Gnu/Linux Networking. Beginners and experienced users alike should find the information they need to cover nearly all important administration activities required to manage a Linux network configuration. This article, outlines how to install Ubuntu using the network installer. This utility allows you to install directly over the network, instead of using a CD or DVD image. It does require a small CD boot image, but beyond that, it is entirely network dependent. These steps can be used to install over the WAN from a public Ubuntu repository, or over the LAN from an exported Ubuntu CD or private repository. Network installations are generally faster than CD based installations, particularly when done over a Local Area Network. ubuntu-restricted-extras is a software package for Ubuntu that allows the user to install essential software which is not already included due to legal or copyright reasons. Installing this package will pull in support for MP3 playback and decoding, support for various other audio formats (GStreamer plugins), Microsoft fonts, Java runtime environment, Flash plugin, LAME (to create compressed audio files), and DVD playback. - Open Ubuntu Software Center. - Search for "Ubuntu Restricted Extras". - Type "sudo apt-get install ubuntu-restricted-extras", and press the "enter" key. We are aware that some customers have reported fan speed issues with the latest 196.75 WHQL drivers on NVIDIA.com. Until we can verify and root cause this issue, we recommend that customers do not download this driver. Instead, please stay with, or return to 196.21 WHQL drivers. Release 196.75 drivers have been temporarily removed from our website and we also are asking our partners and others to remove temporarily this 196.75 WHQL driver as well. Windows Vista: Click System and Maintenance and then System or simply System (in Classic view). Windows 7: Click System and Security and then System. When you installed your current driver, if you first uninstalled the previous driver you won’t be able to roll back. In this case, follow the same steps that you previously used to uninstall your driver. Once complete, you can then download and re-install the recommended driver. An ISO image is an archive file (also known as a disc image) of an optical disc in a format defined by the International Organization for Standardization (ISO). It is basically a single (usually large) file with an ".iso" extension that represents the entire contents of a CD or DVD, and is a format often used to distribute large programs over the internet. The most important feature of an ISO image is that it can be easily rendered or burned to a DVD or CD by using a media authoring or disc burning software. It can also be opened using archival applications such as 7-Zip file manager or the WinRAR shareware archiver. ISO burning is now typically a native feature of modern home and business computer operating systems. In Windows 7, the new native support for ISO image burning addresses something that’s been on the wish list of many Windows users for a long time (before Windows 7, you have to download a third-party software in order to burn an ISO image to a CD or DVD). To access this feature, double-click on the ".iso" file and a "Windows Disc Image Burner" dialog box will appear. Software to Record Skype Audio and Video Calls for Free! Tapur for Windows 2000/XP/2003Server/Vista/7 - An answering service, and voice/video call recorder for Skype. 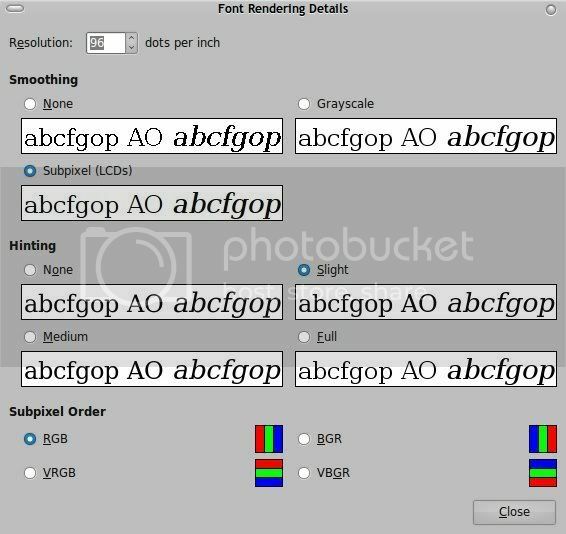 Everyone has their own preference when it comes to fonts, and some users, like me, are not happy with Ubuntu's huge default fonts. 1. Install Windows fonts (most websites will render nicely with these fonts installed). 3. 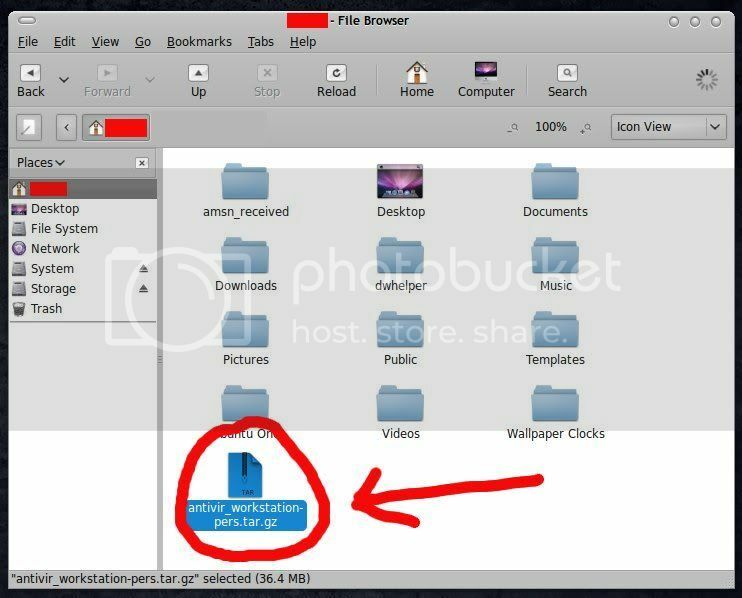 Navigate to your /home folder (~/) and press ctrl+h to show hidden files and folders. 4. Create a new folder named .fonts and extract the fonts from the tar file to this folder. 5. Setup your system fonts. 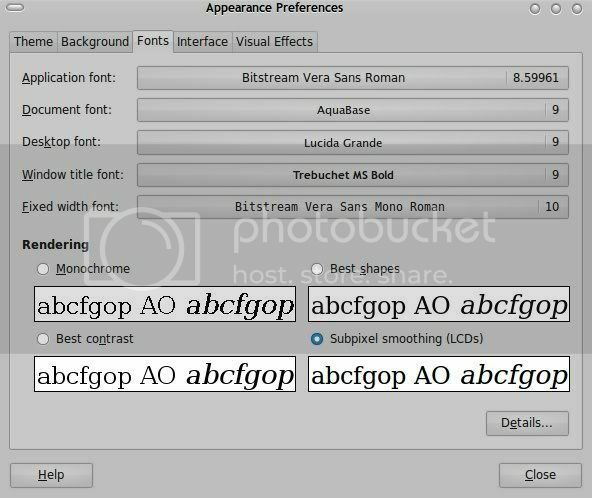 Go to Preferences->Appearance->Fonts. 6. To change the font rendering settings, choose "subpixel smoothing (LCDs)" and click the "Details" button. Under "smoothing", choose "Subpixel", and choose "Slight", under "hinting." Canonical is updating Ubuntu's look and feel with a new style that departs from the popular Linux distribution's traditional brown theming. One thing I like about Linux is its versatility. It has no hardware restriction, unlike other operating systems. So versatile, in fact, that you can even install the whole system on a bootable USB flash drive. One advantage of having a bootable Linux anti-virus rescue USB is that you can scan a malware-infested drive without booting into your native operating system. You can just boot from the flashdrive and scan the drive from there. Step 1. Create the Ubuntu Live USB. Step 2. Boot from your Ubuntu Live USB. Step 3. Open Mozilla Firefox and download Avira AntiVir Personal - FREE Antivirus for Linux. Step 4. 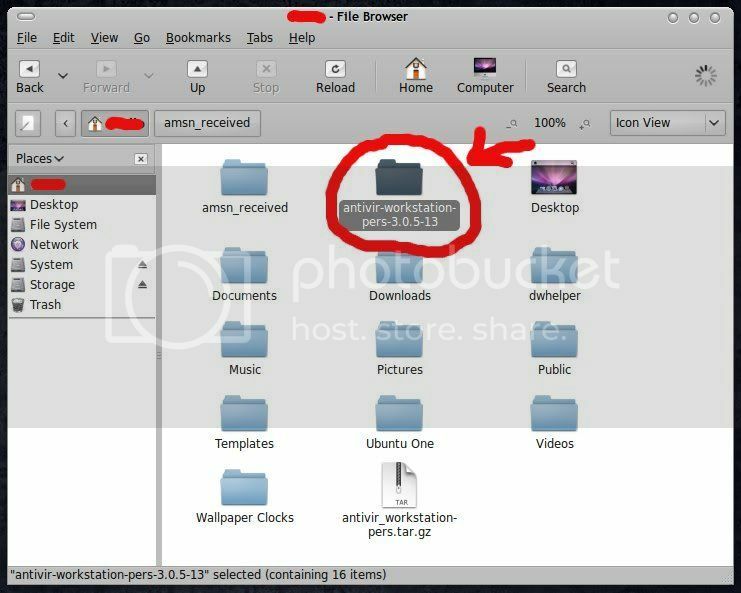 If the downloaded Avira tar file location is not in your /home/ubuntu (~/) folder, copy or move the file (together with the license file - hbedv.key) into that folder (for easier installation). Step 5. 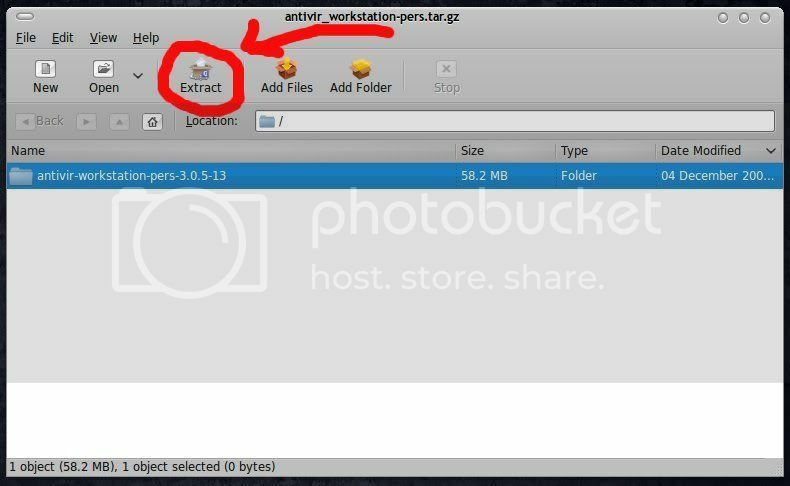 Extract the tar file by double-clicking (GUI) or using the terminal. Extract the tar file "tar xvpzf antivir_workstation-pers.tar.gz"
Step 6. Using the Terminal, change current directory into the Avira installer folder/directory. "cd antivir-workstation-pers-3.1.3.4-1"
Step 7. Install Avira (follow on-screen instructions, but answer "n" when it prompts you to install dazukofs). "sudo ./install"
Step 8. Change location to your /home/ubuntu directory ("cd ~/") and copy the license file to /usr/lib/AntiVir directory. "sudo cp hbedv.key /usr/lib/AntiVir"
Step 9. Start avguard ("sudo avguard start"), then update the virus database (may take a while). "sudo /usr/lib/AntiVir/guard/avupdate --product=Guard"
Step 10. Mount the drives you want to scan and run Avira with the following options. "sudo avscan --scan-mode=all -e -del /media". This will scan all files, try to repair the infected ones, and delete the ones it could not repair. Read the manual for more info (/home/ubuntu/antivir-workstation-pers-3.1.3.4-1/doc). - Recover or access data from a drive with corrupted operating system. - Recover a damaged partition table. - Resize or repartition a drive. - Boot onto other computers that may be unsecure, unsafe, or may have virus/malware. - Avoid keyloggers or other programs designed to steal information when logging into your important accounts such as a bank account. - Diagnose various computer problems such as hardware and software issues. "Your product 'Ubuntu Tutik Remix' has been granted the 'Famous Software Award' by Download.FamousWhy.com."